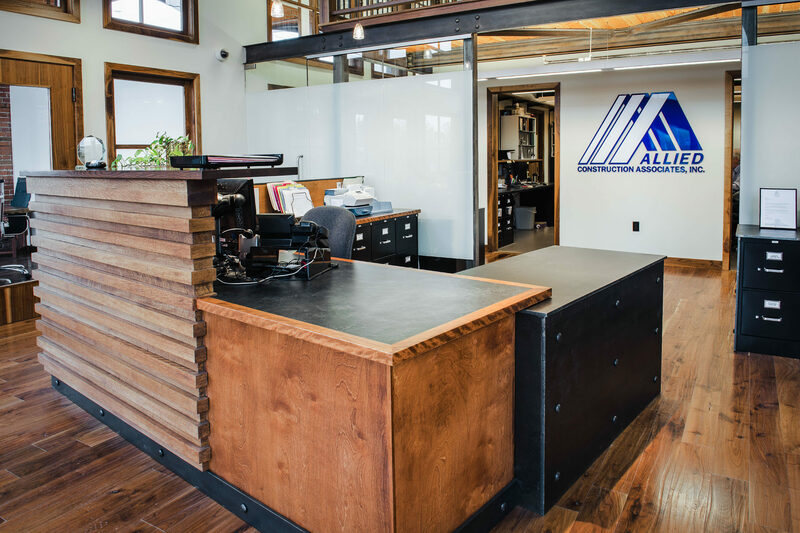 McCabe’s Office Building | Allied Construction Associates, Inc.
As one of the first and best known buildings (1892) in Everett's history, this remodel and modernization stands as one of our favorite projects to date. 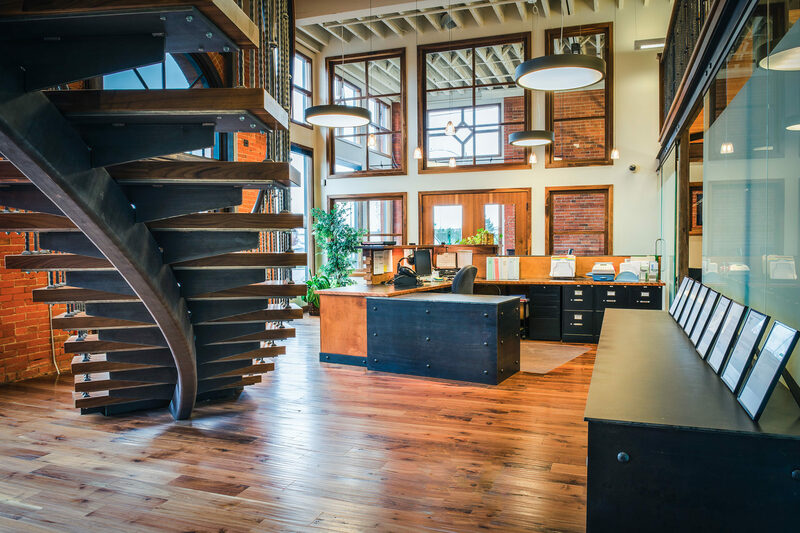 Designed to allow natural light to extend throughout the entire office space, the project included major structural and building envelope upgrades with a new, multi-level interior. 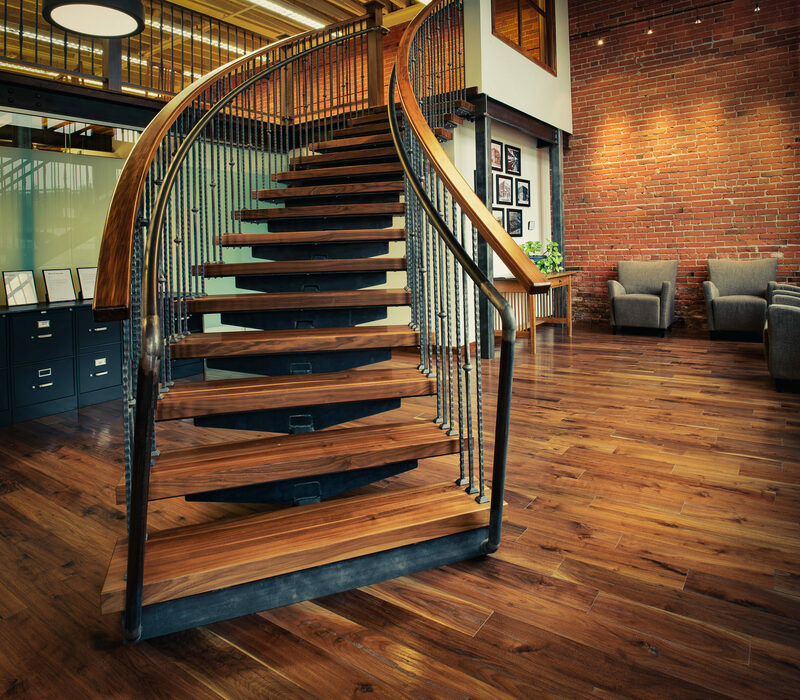 Additional features are the walnut woodwork, a unique curved entry stair, exposed structural steel throughout the main floor and mezzanine, as well as exposed original brick through the building. 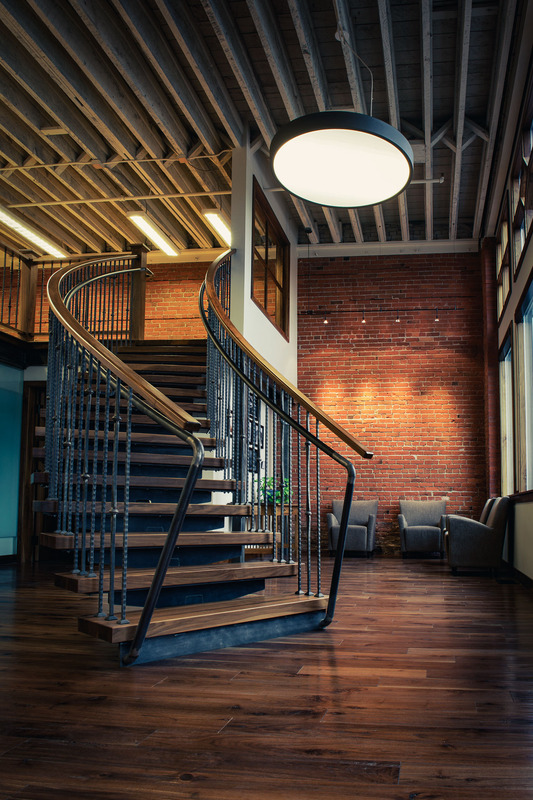 In addition to the office space on the main floor and mezzanine, it included a "build-to-suit" top floor with separate entrance and security system. 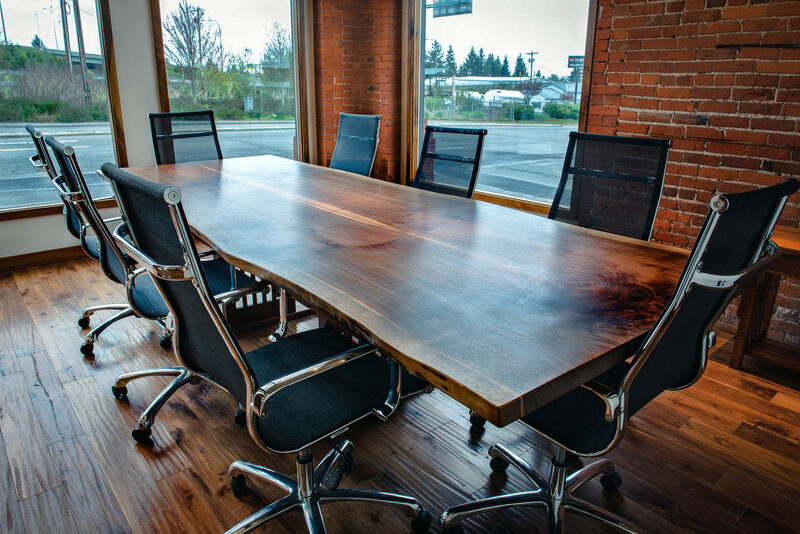 With sound isolation board used at floors and walls, the space features high acoustic value ceiling tile, exposed brick at interior, dark stained oak woodwork, and restoration of existing windows. 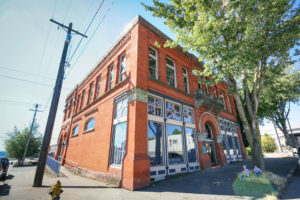 The McCabe Building in Everett, now home to Allied Construction Associates, Inc., was added to the U.S. National Register of Historic Places in 1977. Frederick A. Sexton designed the Romanesque architectural style building originally built in 1892. Originally, the McCabe Building was built as an investment by William G. Swalwell in partnership with Melvin Swartout. However, before the building was complete Swartout sold his portion of the investment to Swalwell. Swalwell in turn sold his stake to the building’s eponym, John B. McCabe. 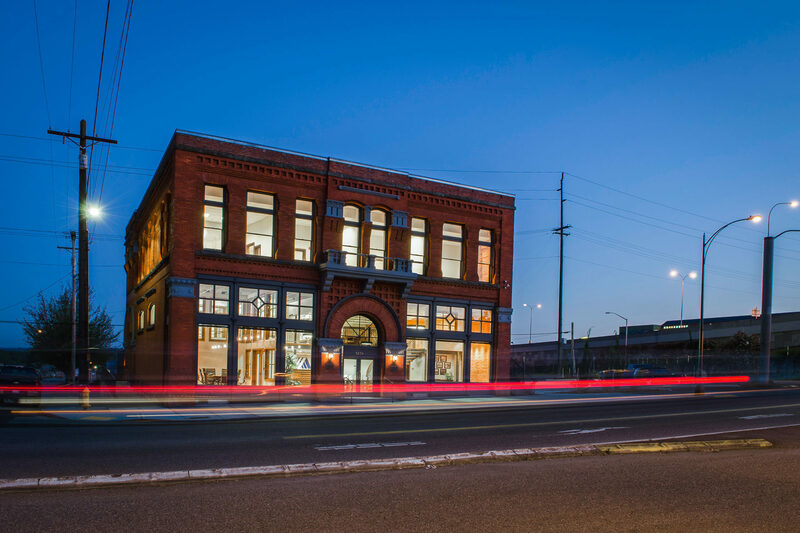 The building has a been a fixture in the City of Everett from the days of the wild west to modern times. 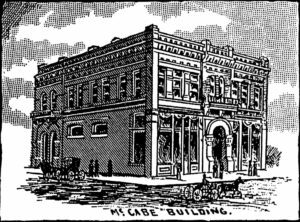 Over the years The McCabe Building has been home to various types of businesses, as shown in the photographs below. 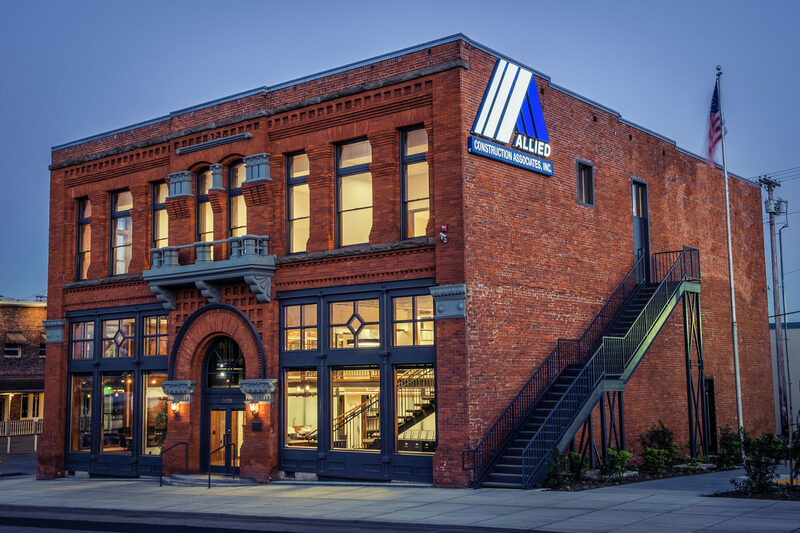 We are proud of its history and grateful to be named one of the many faces of this historic building. 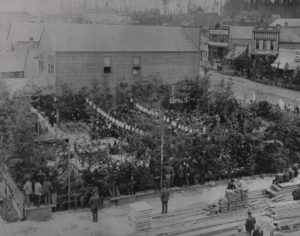 First recorded photo of 3120 Hewitt Ave. Everett citizens used the foundation of the building for their July 4th celebration. 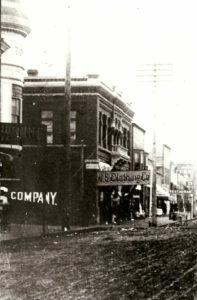 The photograph is facing East at what is now the side of the building from Chestnut St. To the right is Hewitt Ave.
Linecut drawing published by Frederick A. Sexton around the time of the building’s completion. 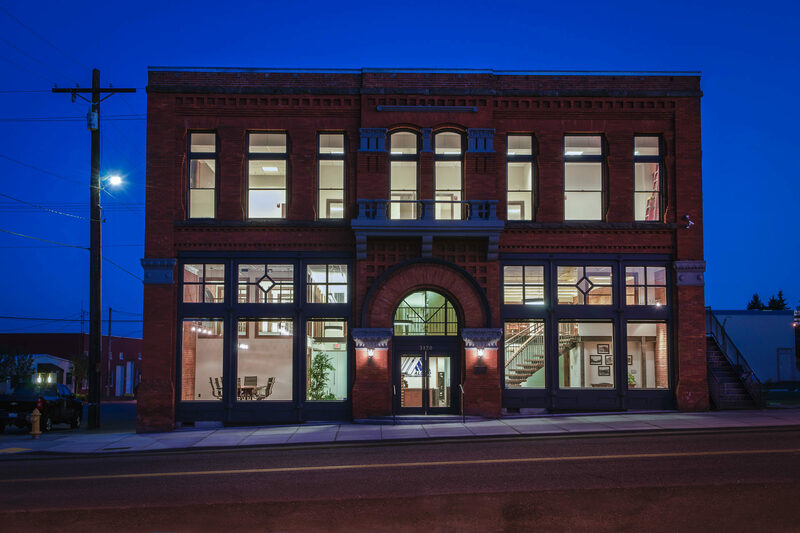 One of the first occupants of this historic building was U.S. Clothing Co. as seen here. This view is from the East facing West up Hewitt Ave. Notice the Tower Building East of the McCabe building. 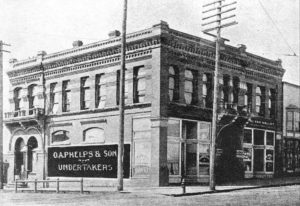 By this time, McCabe’s housed two businesses by the names of Maud Buckles Dressmaker and Phelps and Son Undertakers. 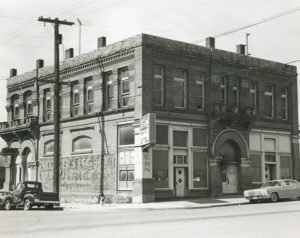 Several decades later, a new tenant arrived known as Castle Bar. Owner, Gus Kassionas is pictured here at the bar on the first floor. His family lived in an apartment on the top floor. 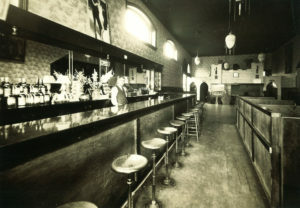 The building continued to house a tavern throughout the 1970’s and the following two decades. 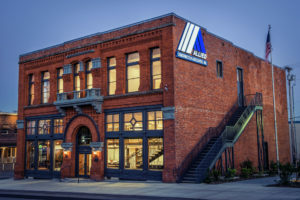 This photograph is a good representation of the building before Allied Construction Associates, Inc. began renovations in 2012. 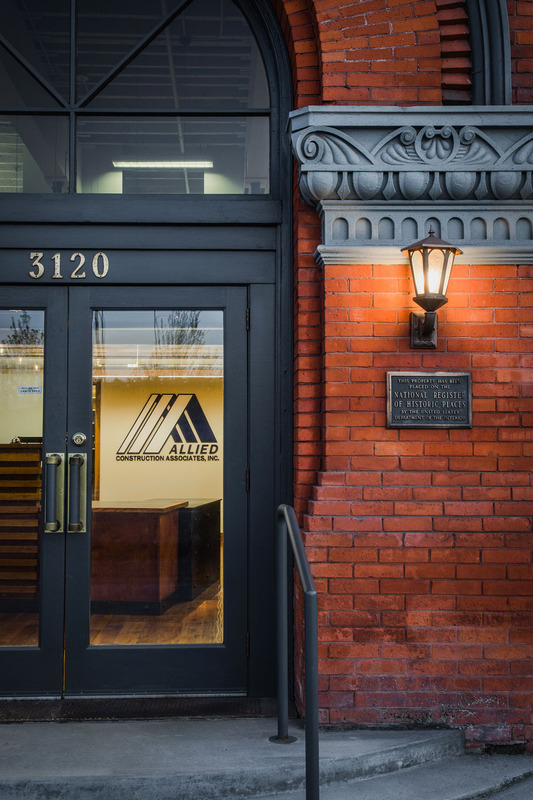 Fully restored building and home offices of Allied Construction Associates, Inc.
© 2015 - 2019 Allied Construction Associates, Inc. All rights reserved. Crafted with care by FCAngelo.